Leaders, do you consider Emotional Intelligence important? A three-year study of AMADORI, a supplier of McDonald’s in Europe, assesses links between emotional intelligence, individual performance, organizational engagement, and organizational performance. Emotional intelligence was found to predict 47% of the variation in manager’s performance management scores. 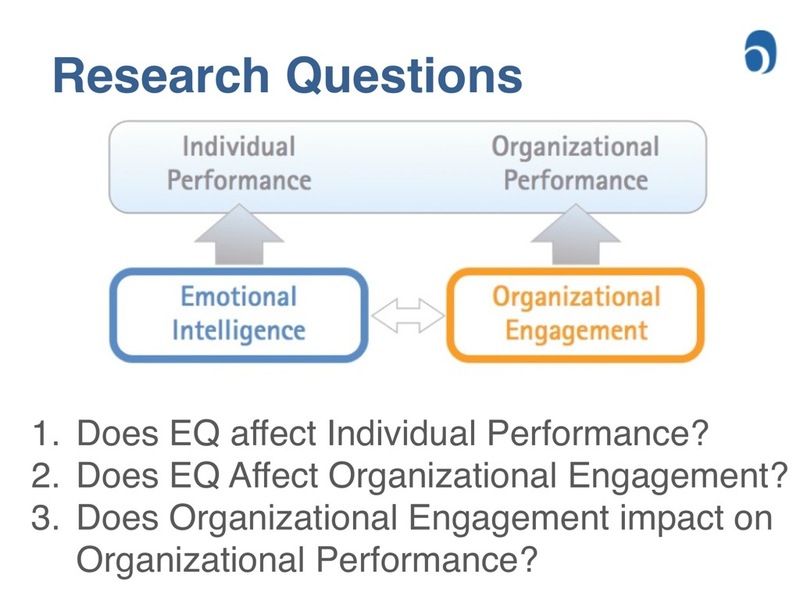 Emotional intelligence was also massively correlated with increased organizational engagement with 76% of the variation in engagement predicted by manager EQ. Finally, plants with higher organizational engagement achieved higher bottom-line results building a link between EQ->Engagement->Performance. During this period, employee turnover also dropped by 63%. To answer these questions the HR team at AMADORI, a major player in Europe’s food industry, and Six Seconds’ researchers conducted a multi-year study to assess these variables. Amadori is one of the leading companies in the Italian agro-food sector, an innovative company and an industry benchmark for meat processing. The turnover in 2011 was over 1.2 billion euros. Founded forty years ago in San Vittore di Cesena, the group relies on collaboration with over 6,000 workers and has industrial plants, subsidiaries and branches all over Italy. A supplier of poultry to McDonalds in several countries in Europe Amadori is subject to intense market pressure which requires constant innovation. In 2008, the HR team evaluated the company’s performance management process, and determined that a key ingredient for success would be integrating emotional intelligence into the leadership culture. The company created a new performance management process along with “The Amadori Academy” to focus on practical, real-world training. Development of a manager-coach perspective where managers guide and support the development of employees with the use of feedback and individual development plans. In 2009, the company partnered with Six Seconds, The Emotional Intelligence Network, to develop stronger people-leadership skills for managers. The goal was for top and middle managers to have new “emotional intelligence” skills and insights that would enable them to lead the complex changes that were underway. In 2011, the project expanded to measure organizational engagement in all of Amadori’s plants. If you want to see the overall white paper click here. This entry was posted in Leadership, Organizations by maxghini. Bookmark the permalink.